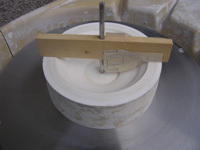 If the FP wheel is used, forming the plate is the easiest. 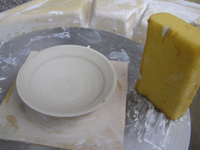 The plate that the skill workman of 30 years made can be made for everyone. 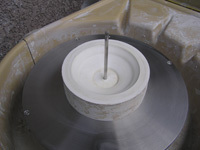 The saucer can be easily done in case of FP WHEEL. 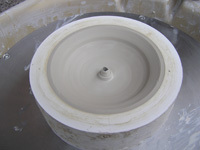 If it is FP WHEEL, the work of the same size is made. 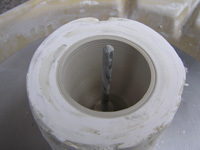 Here, center axes have been exchanged short. 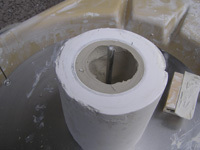 Of course, the spacer use is also possible. 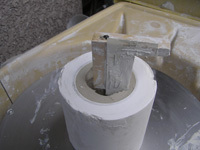 The space between throwing tool and the gypsum mold is the thickness of the work. 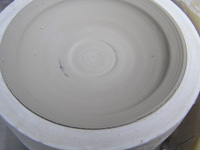 Form it by the throwing tool. 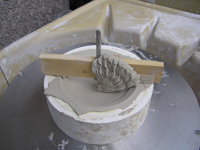 Clay is stiffness of hand crafting. 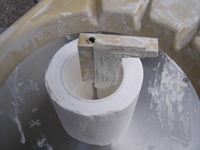 End of throwing tool forming. 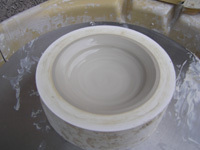 Form the rim and it is completed. 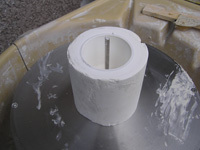 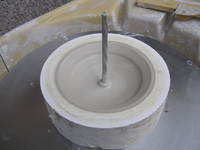 Because throwing tool moves vertically in the FP wheel, cylindrical ware can be produced. 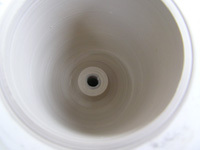 The coffee cup also can be produced. 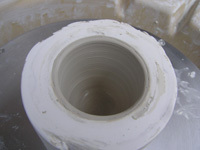 It is molding of the cylinder teacup. 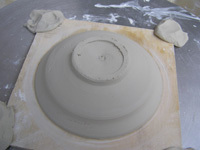 Because throwing tool moves vertically, FP WHEEL can be form the deep one. 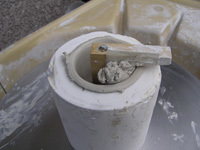 Sometimes remove the clay that adheres to throwing tool, and form the clay. 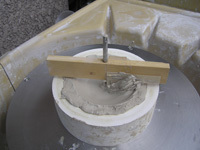 completion of throwing tool forming. 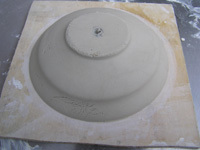 Around the hole there is a mound. 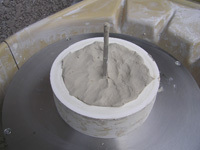 Bury the hole using this mound.